Spain is a dream come true for destination weddings, the beautiful country is far more diverse than meets the eye. While Barcelona on the coast of the Balearic Sea and Madrid are world-class cities at the forefront of art, nightlife and gastronomy, in the countryside you find traditional Spanish villages with cobbled streets, towering castles, historic palaces, vineyards, romantic villas and boutique hotels. In the green hills of Galicia and Asturias along the northern coast, you are in seafood heaven. Due south, in Andalusian cities like Granada and Sevilla, orange-tree-lined streets sunbathe in an average of 125 cloudless days yearly. We also have to mention the Canary Islands, an archipelago that might have one of the best climates in the world. It’s no wonder that the number of international weddings organized in Spain is on the rise. Wedding expenses in Spain range from 12,000 euro in the Canary Islands to 21,000 in Madrid for 100 guests. The cost of an average wedding in Spain is 16,500 euro, this figure is only half of a wedding’s expenses organized in the United States, where you might have to fork out the equivalent of 30,000 euros for similar services. The wedding season is usually between May and October, with peaks in June and September. Autumn and winter are cheaper to get married, most venues will reduce their tariffs between November and April and the weather is often really pleasant up until December. Midweek weddings cost 20-40% less than weekend weddings. The highest amount, close to 60% of the budget is allocated for the dinner and venue, where you might spend 75-140 euro per person. 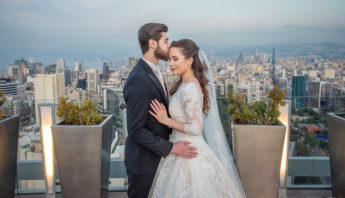 The most expensive wedding venues are in Madrid, Catalonia and the Valencian Communities; while the most affordable ones are in Asturias, Extremadura and Canarias (The Spanish Canary Islands). Luxury wedding venues in Barcelona might cost as much as 20,000 euros, whereas villas in the countryside cost around 6,000 euros. Both civil and religious (Roman Catholic, Protestant, Jewish and Muslim) marriages can be celebrated in Spain. There is no residency requirement for marriages in Spain, but civil registry officials may take up to 45 days to approve an application for marriage. Applications for civil marriages must be made to the civil registry, district court or town hall in the place where the marriage is to be celebrated. Because of the complicated paperwork many couples chose to take care of the legalities by civil marriage in their home country and then hold a symbolic ceremony in Spain for their friends and family, which will appear as a normal wedding ceremony. Choosing a civil wedding is a little cheaper than a religious wedding, especially if it is held at the wedding venue. With the civil wedding you can also save the cost of the religious ceremony. If you prefer to get married in church, a donation of around 300 euros is recommended. 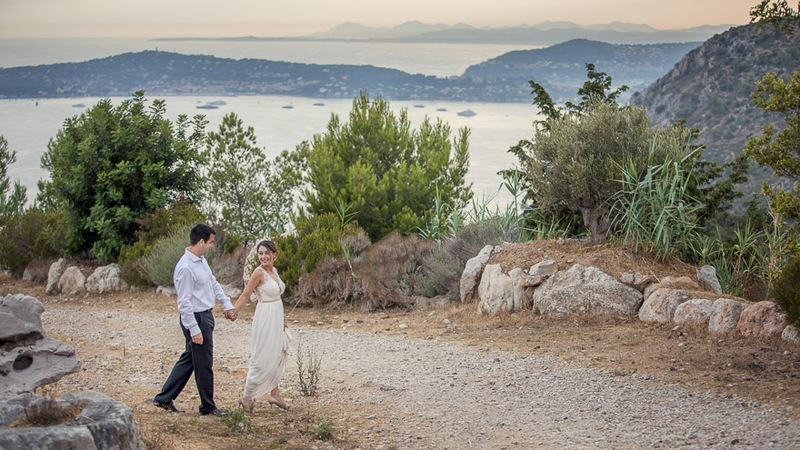 A good wedding photographer will charge between 1,500 and 2,000 euros in Spain. While a regular wedding video might cost only around 1,000 euros, wedding cinematography is a more professional service, a cinematic experience where usually two or three filmmakers work at your wedding. 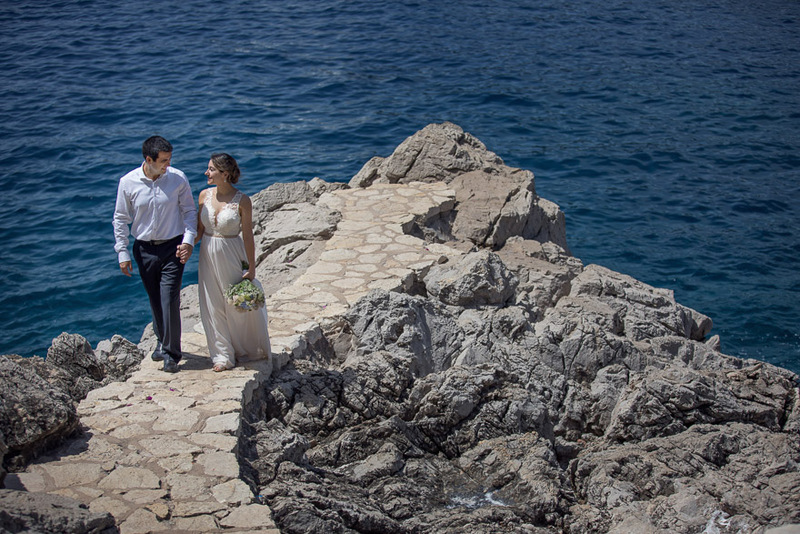 You can spend between 1,500 and 3,000 euros on high-quality wedding films. Weigert Images also offers wedding photography and cinematography in Spain, please check our portfolio and feel free to contact us. 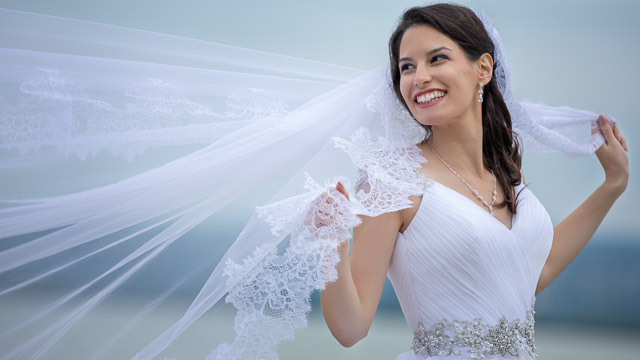 The cost of a wedding dress in Spain varies a lot depending on the brand and the designer. The brides spend between 700 and 1,700 euros with an average price of 1,200 euros (usually prêt-à-porter) on their dress, an amount to which you must also take into account the veil, headdress, shoes, jewelry and lingerie for the occasion. These items will increase the price tag with an additional 400-800 euros. 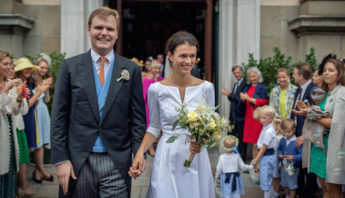 Grooms are usually more austere and spend less on their suit and accessories, they spend an average of 1,100 euros, including the price of the suit, as well as shoes, cufflinks, tie or bow tie, etc. Wedding suits have an average cost of 580 euros in Spain, a figure much lower than the bride’s dress. However, if you choose a designer brand, the price can increase to 1,200 euros on average. Hairdressing, makeup and aesthetics are usually around 300-600 euros, including trials. Also keep in mind that a home service can increase your costs compared to regular hairdressing salon prices. The price of a medium bridal bouquet is between 150 and 300 euros in Spain. Decorating only the ceremony is not the same as decorating the wedding venue, too. The cost of flowers for the church and the venue are between 800 and 1,500 euros. It is advisable to use seasonal flowers. Because of their abundance, they will be a lot cheaper. The average price of a DJ in Spain ranges between 500 and 900 euros. To this amount we should add the expense of live music for the ceremony, which would be between 300 and 600 euros. Flamenco dancers and a Mariachi band playing spirited Spanish music may elevate the atmosphere of this intriguing day. An orchestra or band raises the budget with an additional 700-1000 euros. The cost of wedding stationery, including the invitations, menus and the seating plan can range between 500 and 700 euros. The invitations alone cost about 300-500 euros on average in Spain. The wedding favors, small gifts for the guests will set you back with another 300 euros. You can save money by preparing the wedding favors, the invitations or the centerpieces yourself. In addition, being cheaper will be more special since handmade items will have a greater sentimental value. Prices for wedding cakes depend on style and size. In general, Spanish wedding cakes are less expensive, they cost between 200-800 euros. A fondant iced cake definitely costs more than a normal naked cake. 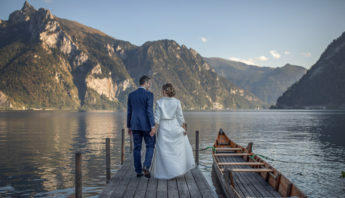 Honeymoon prices might range between 1,300 and 3,500 euros, however if you have a destination wedding in Spain, you might just enjoy yourself in a secluded rural retreat, you don’t have to leave this beautiful country.